Record your days with these digital stamps. 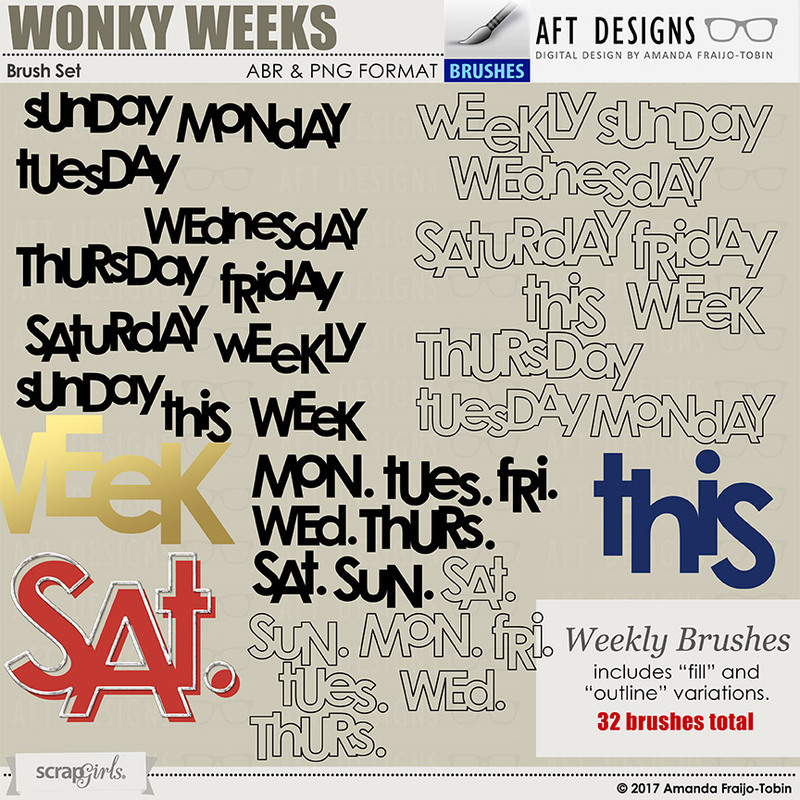 Includes several variations (Filled and Outline Versions) of weekdays in PNG and ABR format. (52) digital scrapbooking brush stamps in total. A happy and carefree digital scrapbooking collection. Touches of classic and modern mixed together. Stripes and dots combine with fun patterns on beautiful textured papers. Fun embellishments include acrylic frames and accents, strings, wires, stars, paint streaks, scribbles and more. Great unisex collection appropriate for all ages. Create a Lively layout with these art journaling inspired painted words, flowers, scribbles, papers and more! Large format words also come with a free brush (ABR) version for ease of use. These grungy line digital scrapbooking brushes are an essential tool to any scrappers stash. Add inked, faded, and distressed edges and lines to your projects easily. Ever complete a layout and need a quick way to add the date? 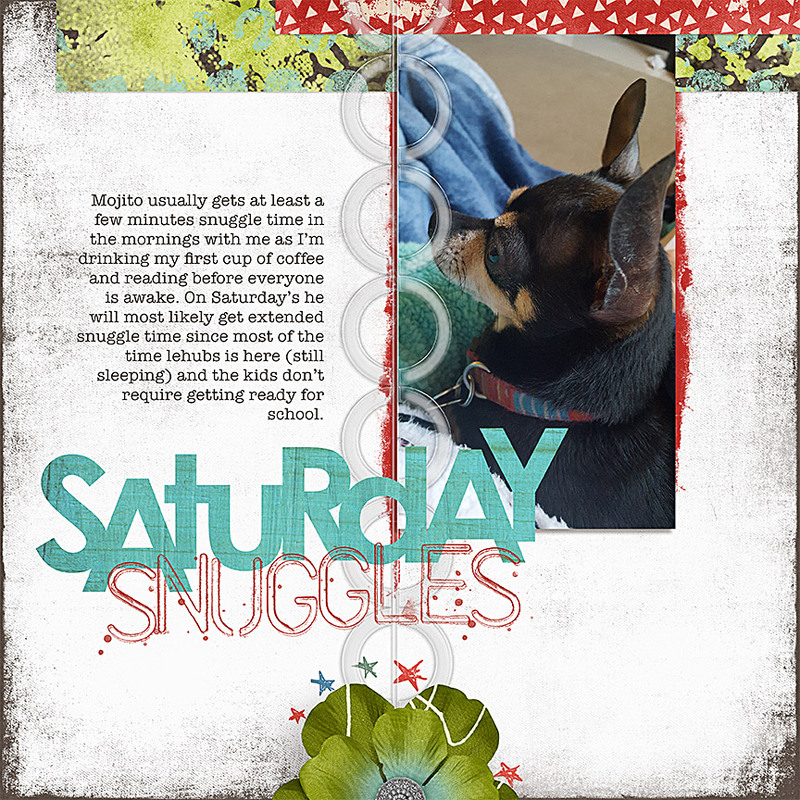 These digital scrapbooking month brushes are ideal. With a mix of funky, grungy, and classy fonts; these brushes will go with any computer scrapbooking project. Create a Lively layout with these 'almost white' backgrounds with a colored edge border.